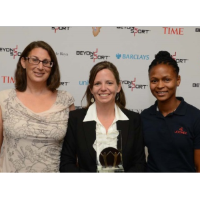 Ocean Academy was selected out of 350 applicants from more than 70 countries for UNICEF's Sport in Education Award from Beyond Sport. 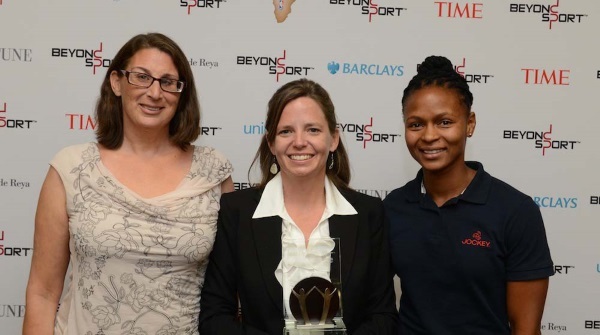 Heidi Curry and Joni Miller traveled to Johannesburg, South Africa, to represent the Aquatic Tourism Program as a finalist among prestigious development organizations from around the world. Heidi describes her experience: "It was humbling to join a speaking panel with one of the other finalists in our category who represents an organization with 15 year's experience and 700 employees serving hundreds of thousands of young people in India… and then for little Ocean Academy to win! It took going across the globe to realize that we are doing truly unique work right here in Belize." The award recognizes Ocean Academy's innovative approach to developing entrepreneurial and life skills through fly-fishing, scuba diving, and kayaking "physical education" classes. On weekends and holidays, students accompany visitors on kayak excursions and teach about the ecology and history of the island. They earn money for their families, their school fees, and the school. Ocean Academy develops workshops based on visitors' evaluation forms. Skills are transferrable to any future profession. 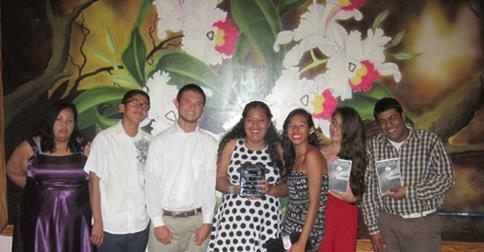 Ocean Academy's Aquatic Tourism Program is sponsored by a grant from the U.S. State Department. 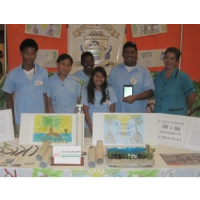 Ocean Academy's Environmental Club competed with high schools from across Belize in the National Sagicor Visionaries S.T.E.M. 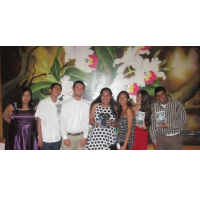 (Science, Technology, Engineering, Math) Competition. 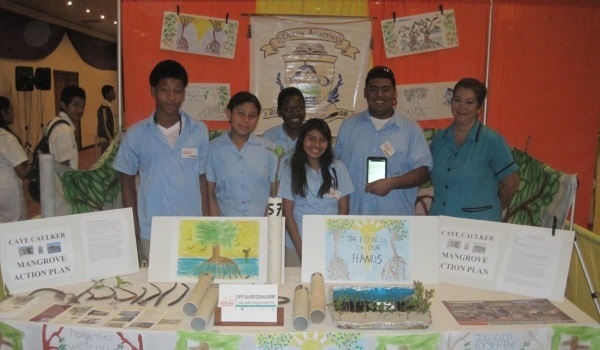 Ocean Academy's certificate-winning project, entitled Caye Caulker Mangrove Action Plan, utilizes GPS and mobile phone app technology to educate and engage people in the protection of the fragile mangrove ecosystem connected to Belize's Barrier Reef, a World Heritage Site located 1/4 mile from the island. Belize Department of Youth Services awarded Ocean Academy's Aquatic Tourism program the National Youth Award for Environmentalism and Social Enterprise. 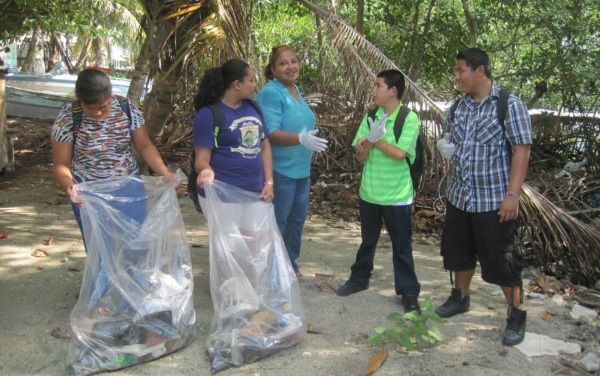 Caye Caulker students are proud to be ecological ambassadors. This is the sixth national award received from Youth Services over the last five years. We collected 505 plastic bags, 292 plastic bottle caps, 281 food wrappers, 226 plastic bottles, 180 plastic cups and plates! Plastics were once again the top item we collected in our annual beach cleanup of Caye Caulker. Ocean Academy's Fly Fishing Class, guided by Haywood Curry, made a superb video entitled "It Matters To Me" on the theme "Planned Development Today for a Sustainable Coast Tomorrow". Thank you to everyone who took the time to click a "like" vote, to singer Danny Michel for the opening soundtrack, and to the students and Mr. Curry for an inspirational environmental message. Armando and Anna Pau, of Pasta Per Caso, gave a warm welcome to three students interested in learning more about starting and running successful small businesses. Pasta Per Caso means "Pasta by Chance" and is rated #1 of 64 Caye Caulker restaurants on Trip Advisor. Armando and Anna started the afternoon by explaining the history of pasta in Italy. They showed students their imported pasta maker and made fresh spaghetti out of flour and water. Armando showed the biodegradable take-out containers used at Pasta Per Caso and answered questions about how to setup a business plan, licensing, Food Handing certification, GST and more. Anna and Armando described all the careers they had in Italy and Nigeria before making the move to Belize. Kevin, Kyra, Buddy and teacher Ms. Miller were then treated to an amazing pasta lunch, followed by panacotta dessert. Anna and Armando talked with students about the importance of a positive and welcoming attitude in the restaurant business, and in life. They advised students to follow their passions in life and not focus just on the money, to take risks, have a vision, be curious and survey needs and wants on the island. "Now is a good time to look for potential in Belize. If you have an idea then you have to try" The group brainstormed other small business ideas, and the lovely lunch concluded with each student presenting a hand-made Thank You Card to our mentors and new friends.